My Name is Phil and i have had my marine tank for nearly a year. 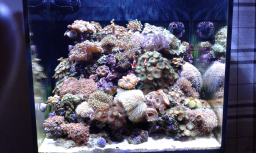 i have a 90L tank with some corals and fish. I've split this into a separate threat, so you have your own little intro thread.